Cloud Nothings exists at a particularly interesting intersection of genres. While its instrumentation obviously has strong roots in the punk scene, it’s somehow too beholden to melodic hooks to fit within such a neat classification. On Here and Nowhere Else, this dichotomy is more present than ever—the album boasts the catchiest hooks the band members have recorded since their humble beginnings as a one-man project in Dylan Baldi’s parents’ basement, yet it also manages to pack in some of their most urgent songs to date. On the band’s fantastic 2012 release Attack on Memory, considerations of retaining old recording methods were effectively non-existent—the album’s nearly nine-minute opener “No Future / No Past” effectively threw the old formula that defined Cloud Nothings and Turning On out the window. What remained was a bold statement that exchanged the closeted pop sensibilities of the earlier solo records for wide-open spaces and a relentless driving energy. On their latest album, Baldi and crew trade these larger soundscapes for a more intimate approach that still finds a way to hit just as hard. While their instrumentation might be less expansive and their songs might be shorter this time around, they still manage to retain all of the fight that made Attack on Memory such a joy to behold. On songs like “Giving into Seeing,” it becomes clear that Cloud Nothings won’t ever really be tied down, even if it makes songs that make you want to sing along rather than yell in the middle of a pit (not that there won’t still be lots of yelling when the band comes to town). John Congleton gets production credits on the record, and he certainly has some hand in the band’s further refined sound. His recent work on St. Vincent’s latest self-titled album lent her work a newfound brazenness, and he works to a similar end with this record as well—the songs here are much leaner and meaner than they’ve ever been before. Throughout the record, Jayson Gerycz’s drums are much higher in the mix, and they lend the songs urgency and purpose. This works especially well on “Psychic Trauma”—the song clocks in just short of three minutes, and after about 50 seconds, it erupts into pounding drums and rhythm guitars. From a lyrical standpoint as well, Here and Nowhere Else is a much more straightforward record. On opening track “Now Here In,” Baldi repeats, “I can feel your pain/ And I feel alright ’bout it.” Throughout the record, questions of sanity and mental illness are broached much more frankly than on earlier albums. When Baldi sings, “I’m not telling you all I’m going through/ I feel fine” on “I’m Not Part of Me,” we sense that he’s been dealing with these issues for years. Whereas these personal issues have been alluded to on earlier records, on Here and Nowhere Else, they’ve been brought to the fore of the record’s thematic concerns. As a whole, the album’s songs are able to paint a nuanced portrait of what exactly it is Baldi is going through, even as he tells us that he won’t. “I’m Not Part of Me” isn’t just notable for its lyrical themes, though. As the album’s closer, it points toward a refined direction that the band can move toward on future records, one that embraces Baldi’s surprising vocal chops while maintaining the band’s driving energy. Together, these elements make up what is one of the band’s strongest songs to date. 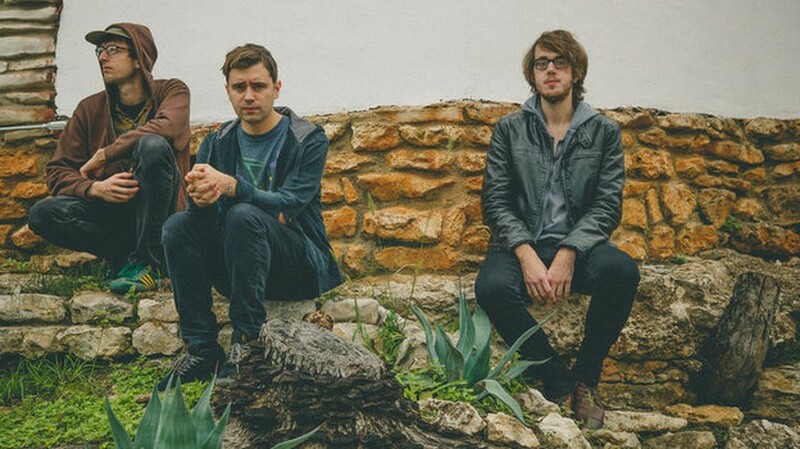 If Cloud Nothings can manage to capture a similar sound on future releases, it’ll be able to effectively expand its reach to a crowd with more pop sensibilities.